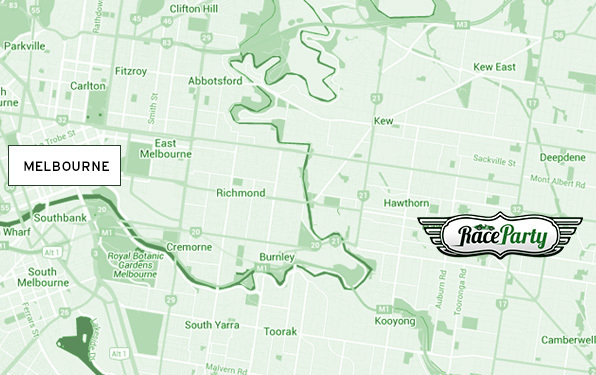 At Race Party, we can cater for a variety of group activities in Melbourne, from corporate events to private parties and even just casual gatherings. Whatever kind of event you wish to hold, we have the facilities and the expertise that can make it happen. If you’re looking for fun group activities in Melbourne with a friendly, casual vibe then you can always select one of our set gathering packages rather than organising an entire event, and you will still receive sixty minutes worth of racing time and thirty minutes full of music and food in an adjoining room. You also still receive a selection of canapés and refreshments to enjoy. Furthermore, just as with our children’s parties, you have the option of upgrading your track to either the UV or disco variety. Perhaps you want an even more informal set of fun group activities in Melbourne – well then why not try out our casual racing sessions? We have one hour and half hour options where you simply rent out the track and equipment and race your friends. You don’t have to have an entire event to experience the enjoyment of slot car racing. You still receive a dedicated host for your casual racing event, however it is not catered. If you want competitive group activities in Melbourne that challenge you and your friends then race parties are a fantastic option. If you would like to spend an extended period of time taking part in group activities in Melbourne then our evening events are a great option. This option is suitable for both private events and corporate events, so everyone can enjoy fun group activities in Melbourne. You have a choice of times going up to two hours race time, and a food and drinks package is included in the price. You also have a choice of food upgrades to make the experience as personalised as possible. Our package options offer a great range of versatility for your event and we make it easy to create unforgettable experiences that all of your friends will remember forever. Bring you team in on a team building activity while giving them an enjoyable day out. We are able to fully cater for the event for you and we offer multiple different conference rooms to cater specifically for your business needs. Nobody in the office will forget the amazing day out you’ve created for them. 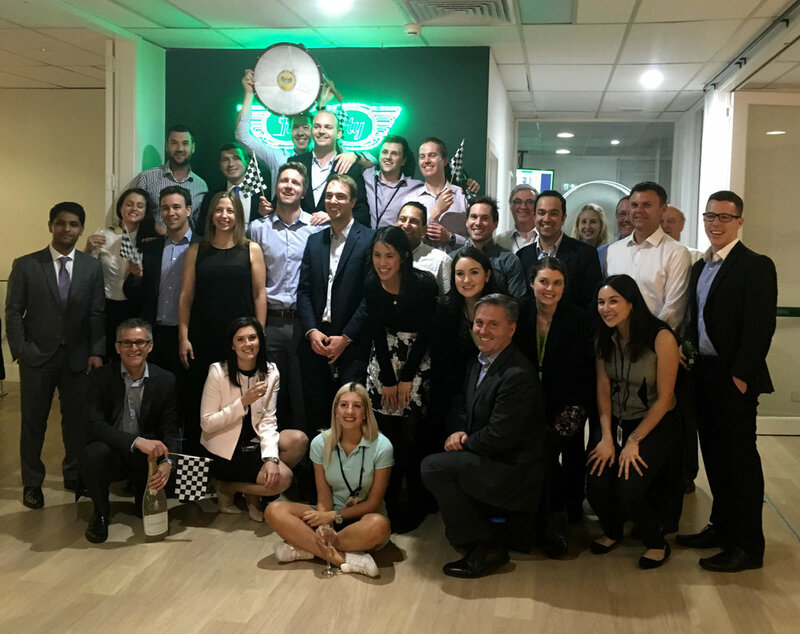 So if you’re trying to plan a group activity in Melbourne, whether it’s just a casual thing for you and a couple of friends, a larger scale corporate even fun day, or anything in between, Race Party is guaranteed to excite and entertain absolutely everyone. Unlike some group activities in Melbourne, our slot car racing is suitable for people of all ages, so there’s no need to miss out on the fun and excitement because you’re too young or too old. They’re perfect for birthday parties, corporate event parties and impromptu get togethers. Plus, as we can provide everything from music to food and drink and even disco lights, it’s a stress-free way to organise fun group activities that will keep everyone entertained and encourage a bit of friendly competition along the way too. We’ll give you instruction on how to control the cars, and how to gain an advantage on the track, and you’ll get plenty of time to practice your tactics before the serious competition starts. When you choose Race Party for your next Melbourne group activities or party, we never leave you to your own devices but provide a dedicated host to look after you and your party from start to finish. They’ll help you to make the most of your time on the racetrack and ensure that you get the best performance from your cars. Your host will chair proceedings, whip up excitement and enthusiasm for the event and help organise the warm ups, heats and final. Plus, they’ll provide a running commentary throughout the action to ensure that your race meet goes without a hitch. It’s a great way to encourage friendly rivalry and to pit your wits and driving skills against those of your family, friends or colleagues. With so many fun group activities Melbourne wide, we know that it can be difficult to choose an activity that will appeal to everyone. However, we believe that once you’re tried our slot car racing, you’re going to love it so much that you’ll become regulars at our track as you organise rematches against your old adversaries. In fact, why not create a racing league and make a trip to Race Party a regular event? You don’t always have to take one of our packages with food and drink, you can simply choose our casual 90-minute session to fight your battles on the track and then go. But just one word of warning – it’s easy to become addicted to this thrilling and fun pastime – so don’t say you haven’t been warned. Our slot car racing group activities in Melbourne are suitable for groups of up to 24 people, and our 8 lane track means that 8 people can line up on the starting grid. There’s plenty of opportunities for everyone to get involved, taking on roles such as track marshals, timekeepers, and cheerleaders. In fact, the more involved you are, the more fun you’ll have. And as our aim is to provide Fun with a capital F, we’ll encourage you to join in all the action.